Phoenix Botanicals has given me the most intriguing olfactory experiences that I have ever had with any perfume, natural or otherwise. When my order first arrived, I smelled each perfume in its vial and immediately took to two of the five samples I had ordered; Lavender Noir and Ka Pueo. Fast forward to a few weeks later. I had photographed all of the perfumes and was now trying them again, this time individually smelling them in their vials and applying them to my skin. What a difference! This time around I loved each fragrance; some more and others less, but there is not one perfume I can say I disliked. Now several more weeks have passed and I have come to love each fragrance the same, simply letting my mood dictate which one I want to wear on any given day. 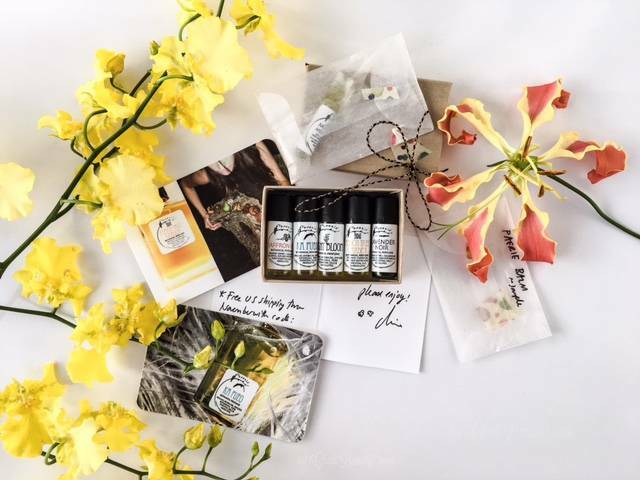 What makes Phoenix Botanicals perfumes intriguing are the base notes. They are complex and make each perfume special. The top notes, pleasant as they are, can be quite simple. But the base notes that remain are where the magic happens. That is where a peach aroma reminiscent of the Body Shop fragrances that used to dominate high school classrooms and hallways is transformed into a complex and interesting fragrance that a free-spirited young woman would enjoy as much as her sophisticated and mature counterpart. These intriguing scents, wonderful as they are, are also what makes Phoenix Botanicals’ perfumes difficult to describe. 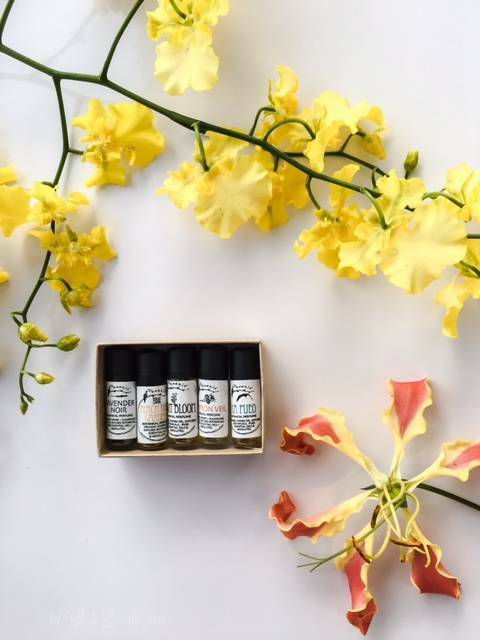 Phoenix Botanicals‘ founder, Irina Adam, uses many uncommon ingredients to craft her fragrances. I have never smelled most, if not all of these uncommon ingredients individually, so I have no point of reference in identifying them amongst other scents. Also, despite my keen interest in fragrances, I am far, far from a nose, or perfumer. 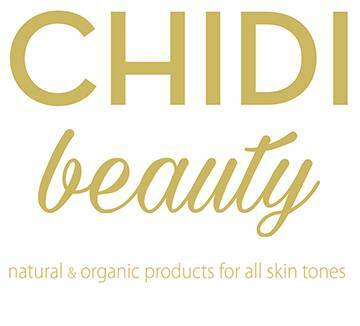 So, dear friends, that unfortunate combination means that the descriptions below are not as precise as you have come to expect from Chidi Beauty, but trust me when I say that each fragrance smells amazing. When reviewing any fragrance, one thing I aim to do is accurately describe the scent in realistic terms. It might sound artistic or otherwise nice to say that a scent is reminiscent of a childhood spent exploring a moss-filled forest just as the dew drops on the sleepy flower petals are drying with the rising of the morning sun. But that really doesn’t tell me what the fragrance smells like, and therefore, doesn’t help me decide whether I want to try it. This is especially true when shopping for non-toxic scents, which are not always accessible in stores. 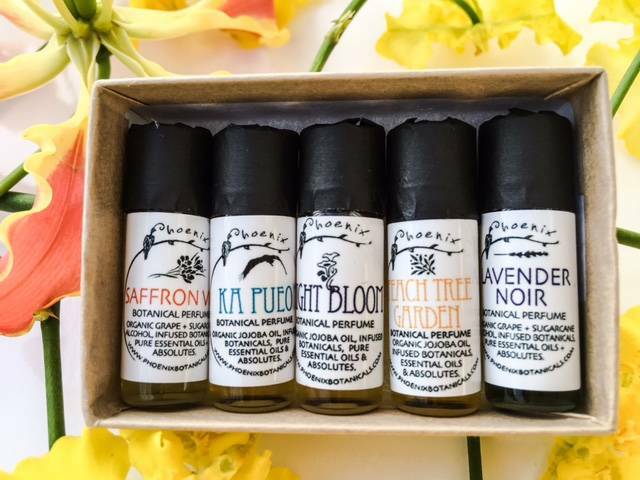 Needless to say, I took quite some time figuring out how best to describe Phoenix Botanicals scents to you, which was no easy task given the unique ingredients used in these perfumes, so please bear with me. The one drawback of these perfume oils is that they do not last long at all. 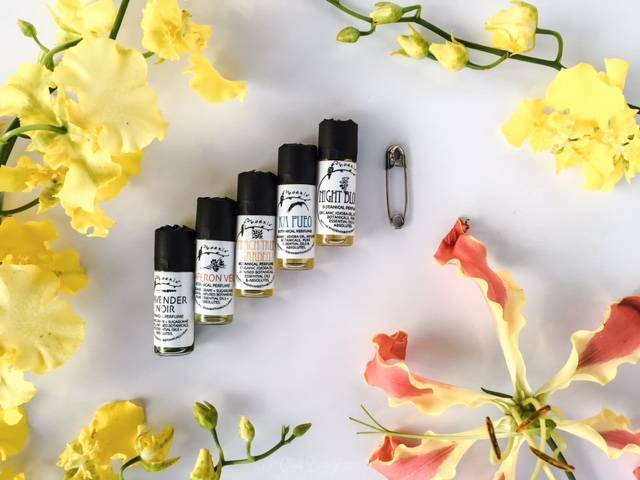 There is some variation from scent to scent, but as a whole, Phoenix Botanicals’ perfume oils remain on your skin for one hour to one hour and a half tops. There are a few vendors on Etsy that make perfume fixatives, which I will look into. I am also considering Phoenix Botanicals’ solid perfumes; if I try any I will update this post to let you know whether they are longer lasting. At the very least that would be an easy way to reapply the scent midday, or whenever you want a fragrance pick-me-up. Lavender Noir is one of the two perfumes that I initially and instantly liked. The first notes that come to mind when you smell this perfume are “dark” and “smoky.” Those dark and smokey notes transform the lavender scent from a floral into a woodsy, almost musky scent. The base notes smell like spiced pome fruit. Yum. Of the five scents I chose, Ka Pueo is the only one that can be described as having a clean, fresh scent. The clean, fresh notes are not as sharp and pronounced as you find with some synthetic fragrances though. Rather, it has a soft, powdery, perfume-like scent that is addictive. Ka Pueo, the owl, references an owl species that is native to Hawaii. Bird enthusiasts will take joy in the fact that a $5 donation to the N.Y. Wild Bird Fund is made for each bottle purchased. Stripped down, this is a very predictable peach scent. However, in its fullness, Peach Tree Garden is anything but predictable. It is sweet, but not saccharine. It is also fruity, slightly spicy and smoky. The inclusion of tobacco and spices adds the smokiness to this perfume, which is unexpected, and really what makes the fragrance perfect. One of the scent ingredients, osmanthus, has been described as the scent of happiness. While I am certain that happiness has more than one scent, the unique scents that come together in Peach Tree Garden definitely help make it a complex and interesting perfume that is perfect for the youthful and fun-loving adult that you are. 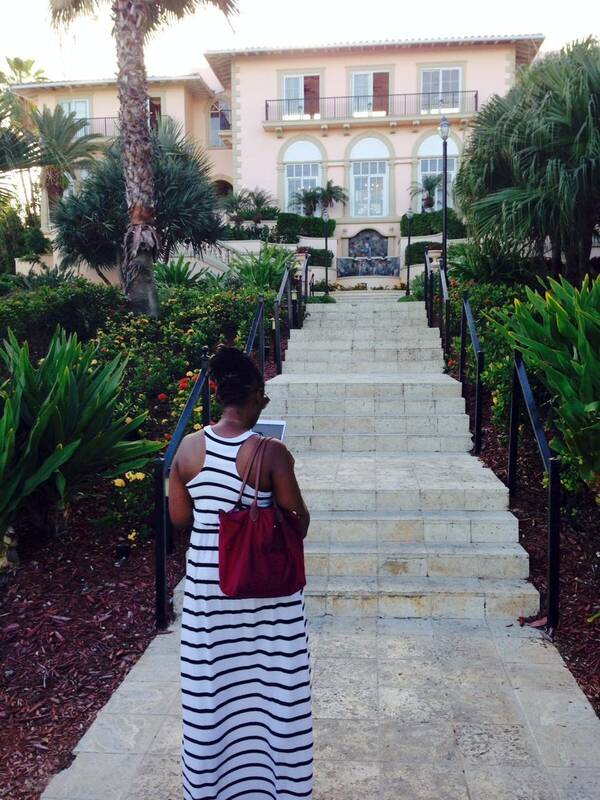 Currently, Saffron Veil is the fragrance of choice of Phoenix Botanicals’ owner, Irina. Best paired with a chunky sweater, a warm beverage and your favourite book, Saffron Veil is the perfect anti-pumpkin spice Fall fragrance. Saffron Veil is a sweet, woody fragrance that is extremely understated. It is soft and intimate. The sweetness and intimacy of this fragrance come from the saffron. You will notice that the sweetness of Saffron Veil is atypical, existing only faintly, like the scent equivalent to a teaspoon of sugar added to a savory dish. Saffron Veil is smooth and uniform, each note blending into a perfectly consistent fragrance. There is also a thin scent that seems to cover and bring together all of the notes in this perfume. It is simple and flat, like rice paper, but interesting at the same time. Somehow, Irina has managed to create an olfactory veil that is part of the fragrance itself. Genius. Saffron Veil is perhaps the most interesting of the five fragrances I ordered, because it is the most unusual. The fragrance is quite calming, and the least “offensive” fragrance that anyone could ever wear: if you spend time around people who are bothered by perfumes or strong fragrances, or if you are one of those people, you just might be able to get away with wearing this perfume. There is nothing in this perfume that seeks to draw attention to itself. To the extent perfumes have a personality, this one is irrefutably the wallflower of fragrances. You have to notice Saffron Veil and be drawn to it; it does not seek attention. A soft and powerful floral, Night Bloom is as appropriate during the day as it is for date night. This is a very perfume-like fragrance. It does not scream nature, botanicals and essential oils even though that is, in fact, the basis of its composition. Night Bloom, like Phoenix Botanicals’ other fragrances, is also quite complex. There is no one floral scent that dominates this fragrance, rather, all of the scents all detectable, but come together to create a harmonious, sensual fragrance. If you are looking for a more traditional perfume-like fragrance, Night-Bloom will not disappoint.